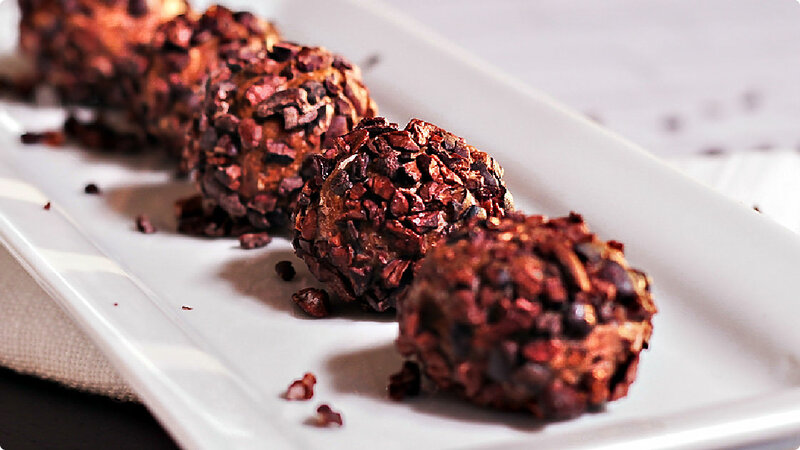 Wearing gloves, roll almond butter mixture into 2-inch balls. Then roll balls in cacao nibs. Best kept frozen or in the refrigerator.